Moving into a new home? The best property can become undesirable in a bad neighbourhood. Noisy neighbou rs are a common problem in any neighbourhood, and may cause you to choose a different property. Knowing about potentially noisy neighbours in advance will help avoid the often awkward situation of dealing with them after you're moved in. What makes a neighbour noisy? Identifying neighbours who have a tendency for creating loud sounds will help you decide if you can tolerate living near them. There is a wide range of reasons for noise--and while some are noticed easily in a preliminary visit to a prospective home, others may take more investigation to uncover. Living near homes that are under construction or being renovated can be quite irritating. Luckily, it will be obvious that this is going on in a neighbourhood before you move there. Of course, your neighbours could begin renovation after you move in, but there is almost nothing you can do to prepare for that. There are laws in place that stipulate that construction in residential areas must cease during regular sleeping hours. Is your new home worth suffering through daytime noise? Kids can be loud. If the neighbourhood is full of kids, chances are at least one family is going to have loud children. Babies cry and other children run around and scream. If you live in an apartment complex, this can be even worse. Running children above your unit will be quite audible in your living space. 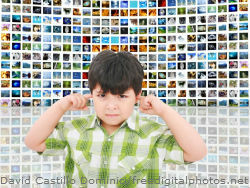 If you are concerned about child noise, there are some communities and areas where children are not allowed. Of course, if you have your own children, that is not an option for you. Hopefully your young neighbours are well behaved. Living next to Jay Gatsby? That's not so great. Unless you're invited, chronic parties can be a nuisance. Late night parties have music or yelling that will keep you up and annoyed. Dealing with parties usually means calling the cops on them, but nobody wants to be that guy. Avoid being that guy by choosing not to move next to party people. How can you tell? A little ageism may be appropriate in this situation. Living in a university town will probably mean there will be a lot of drunken "young adults" making a lot of noise every Thursday through Sunday. A house full of people in their early twenties will usually be a party house. Well-used decks could also implicate a homeowner's desire to frequently host parties. Some couples are not all about peace and tranquility in their relationship. An unhappy home can lead to shouting matches and sometimes more serious situations like breaking objects or abuse. Hearing this as a neighbour is uncomfortable, especially since it is often unclear how serious the situation is. Should you call the cops or let them have it out and calm down by themselves? You don't want to deal with these issues, so you should probably avoid moving near any family that appears excessively volatile. Aside from keeping an eye out for these things during an open house, there are a few more strategies to employ to determine what neighbourhoods are noisy. Listen while inside the home. Some noise may not make it through the walls of the house. You could tell a friend to go outside of a prospective home and make as much sound as possible while you listen from inside. If the result of this experiment is minimal noise, you may be able to tolerate more neighbour noise in that home than you thought. Ask the previous owner. There is no reason for a seller to be perfectly honest with you, but it is worth a shot. If you are moving into a rental location, the previous owner will be much more likely to tell you if noisy neighbours were an issue. First hand accounts, when accurate, can give you a good idea of what to expect from the other neighbours. Ask around the neighbourhood. Sometimes you have to go door to door to collect information. Try to be friendly and explain that you may be their new neighbour. Subtly ask if other people in the neighbourhood have any issues with noise. While you are asking them about the noise of others, you can screen them to see if they may be noisy themselves. Sometimes people are not the source of neighbourhood noise. Traffic, trains, and the businesses around your home all can lead to noise. However, these more consistent sounds should be considered in the home's price. You will often get a discount if you can deal with frequent outside noise in your neighbourhood. That is not often the case when it is the neighbours who are noisy, since that is harder to quantify. If you are a light sleeper-- or just enjoy your peace and quiet-- noisy neighbours can ruin a home. Make sure to determine if the neighbourhood has the potential to be noisy before you move there.